An asthma checklist may help prevent your worst nightmare as a parent. After a call from the school, you arrive in an emergency department to find doctors treating your child. Your child is known by the school to have asthma and is allowed to carry his rescue inhaler with him in school. During the first week of school, your child finds it hard to breathe and uses her inhaler. When symptoms progressed to an asthma attack, EMS is called and your child is taken to a local emergency room. Did the school staff recognize the seriousness of her condition? Was she exposed to a trigger that could have been avoided? Was her action plan followed? Did they use a spacer to give my child her medication? Did they wait too long to call EMS? Could I have done something to prevent this? You are right to be concerned. An Asthma Foundation NSW survey found that asthmatics were vulnerable to potentially fatal asthma attacks because people did not have their rescue inhaler and none was available where they were. 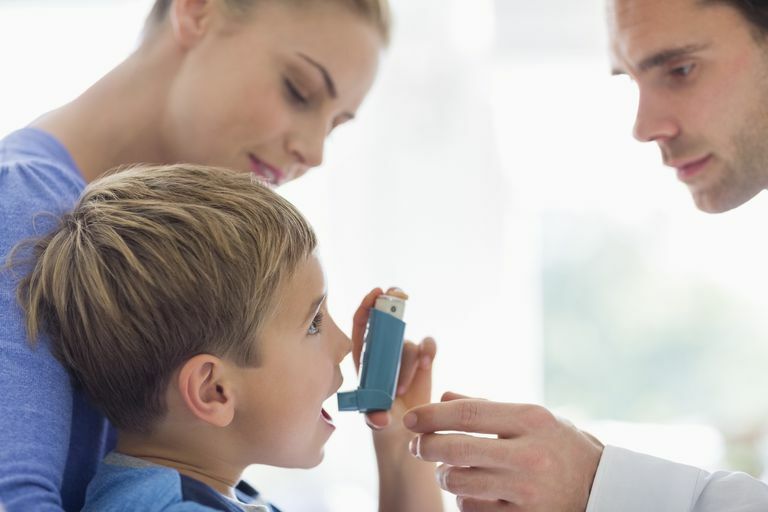 In the survey, more than 80% of places where an asthma attack occurred did not have any asthma treatment medication and less than 30% had someone available who had been trained in handling an asthma emergency. Hopefully, this is better in your child’s school, but you do not want to leave this to chance. An asthma checklist outlines what you need to do before the start of the school tear and will help you go over things with your school so that you and they can feel more comfortable. It is a good idea to see your asthma doctor before the start of school even if your child’s asthma is well controlled. It is a great time to review the asthma action plan and decide if changes are needed before you meet with school teachers and nurses. You may also need to ask for additional scripts if you need to store asthma medication, peak flow devices, or a spacer at school. If you do not have an asthma action plan ask your doctor for one. Many schools now require one to be on file for students with asthma. If your child’s school has a school nurse make sure you also speak with them. You need to make sure that they know your child has asthma and that they understand and can implement your child’s asthma action plan. Make sure they understand specific components like things that trigger your child’s asthma, what they can do to avoid them, and any specific ways your child may manifest asthma symptoms. Also, ask whether other teachers and staff are trained related to asthma. Since asthma may affect your child anywhere, this should include after-school coaches, bus drivers, and other school activity organizers/ personnel. All should have copies of your child’s asthma action plan and know what to do if your child develops symptoms. Most schools now allow for your child to carry and administer their own asthma medication. All 50 states now make it a legal right to carry asthma medication while in school, but you need to ask about specific policies. Make sure you ask if you need to take any special steps such as getting a prescription or letter from your doctor. You need to advocate for your child. During meetings with your child’s teachers and school nurse, find out about your school’s asthma emergency plan. Make sure they know how to get in contact with you in case of an emergency. Ask other parents and doctors about the school’s past history in dealing with asthma emergencies. Even though the asthma action plan will outline how and when to use medications, it is a good idea to make sure this information is on your child’s asthma inhalers. If your child develops symptoms or is not able to communicate it will help teachers and school personnel identify rescue inhaler from controller medication. While it will probably not be available until a few months into the school year, make sure you, your child, and your entire family over the age of 6 months are vaccinated for seasonal flu. An asthma checklist will help you get organized as the new school year starts and will leave you with a piece of mind when others are caring for your child. Asthma Australia. Out of Puff - Survey Reveals Risks from Asthma Attacks. American Lung Association. Back To School With Asthma Checklist. Which Asthma Inhaler Is Right Your Kids? What Do You Know About Wheezing? Can the RSV Virus Cause Asthma in Children and Adults? What Type of Asthma Does Your Child Have?